Who here loves oatmeal?! My personal favorite is apple cinnamon oatmeal. Using steel-cut oats is a must – it’s got great texture that isn’t mushy. You can make oatmeal many ways, but I think this version tastes like holiday heaven and it is the perfect thing for winter mornings! My sister and I love it! Who here loves oatmeal?! 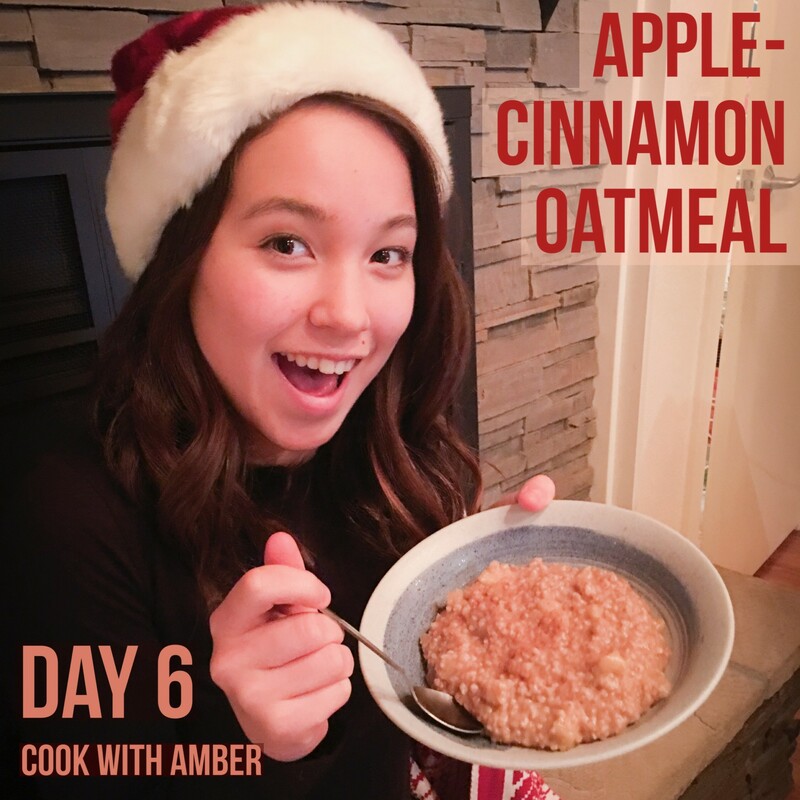 My personal favorite is apple cinnamon oatmeal. Using steel cut oats is a must - it has a great texture that isn't mushy. My sister and I love this! Combine the oats and water in a pot and bring to a boil. Lower the heat and add apples, cinnamon and nutmeg. Simmer for 20 minutes, stirring occasionally. Add in maple syrup and continue to simmer for another 10 minutes, or until the oats are soft (but still have bite!) and thickened to your liking.